Hello everyone! Yesterday (September 13), Ashlee Simpson Ross and Evan Ross were in live on Facebook and answered to fans’ questions. They answered to two of my questions : ‘What do you love the most about each other’ and ‘What did you learn about yourself by working together’. Plus, find the last pictures posted on Instagram of Ashlee and Evan. We're LIVE Facebook LA for a Q&A. 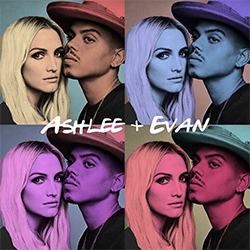 Ask us anything!Listen to our new single #IDo: AshleeAndEvan.lnk.to/IDOCatch our show Ashlee+Evan Sundays on E! Entertainment at 10|9c!